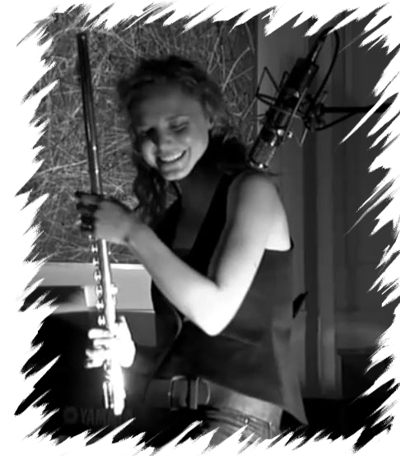 On this episode I speak with flutist Anne Drummond. Born and raised in Seattle, she attended the same high school as Qunicy Jones and Jimi Hendrix, and at age 18 she arrived in New York with a scholarship to study piano at the prestigious Manhattan School of Music. She quickly made the transition to working musician when she brought her flute to class. Her piano instructor, the legendary Kenny Barron, quickly had her in the recording studio and recruited her for his band. She ended up out front on tour and played on several of his albums. She also toured and recorded with the sensational vibraphonist Stehpon Harris. I first learned of her through her impressive work with Matthias Bublath, including the album on which the theme song of talking2musicians appears. She’s a lot of fun, and an impressive talent, so I hope you enjoy the interview, and her new album Revolving which we also preview. Above two great clips of Garfield High School Jazz — this is where Anne, Jimi Hendrix, and Qunicy Jones went to school.